Recover Word Document Mac Now! If you’re looking for a way to recover Word document on Mac, you’re in the right place. This article covers all the detailed guide for how to restore unsaved word document on Mac, how to recover a Word document on Mac due to deleted, lost or emptied trash and how to recover previous version of Word document on Mac. You just need to skip to the right part you’re looking for and follow the steps there to achieve your goal. Let’s start to recover Word document Mac now! There are many scenarios that caused the issue of unsaving Word document: shut down Mac without saving the Word document; the Microsoft Word program crashed and not responsive so that you have to quit it without saving the document; the computer crashed, and you haven’t had time to save the word document at all. Just calm down. It is not a big deal for not being able to save Word document, because solutions available for you to recover unsaved Word document on Mac. First, please note that Microsoft Office has arranged the recover Word document Mac solution in case of any the up mentioned scenarios happen. It comes with 2 built-in features: AutoRecover and AutoSave. AutoRecover allows you to retrieve an unsaved Word document on Mac which you have edited for more than once. It refers to recover the unsaved Word files which you haven’t saved after making changes on it more than once. This feature appears the next time open the Word document, popping up a reminder, asking you whether you’d like to restore the current Word to the last saved version or not. It’s up to you for restoring to which version. AutoSave is a built-in tool that automatically saves a new document that you have created but not saved yet. It is enabled by default on your Microsoft Word on Mac. Here are the steps for how to use AutoSave to recover unsaved Word document on Mac. 1.Click Finder on your Mac. 2.Find the Word file in this path: /Users/username/Library/Application Support/Micirosoft/Office/Office X AutoRecovery. 3.Select the auto saved Word file, copy it to a location on your Mac. If you accidentally close Excel or PowerPoint without saving on Mac? Don't worry, You can also use the above method to recover unsaved excel file on Mac and recover PowerPoint on Mac. If you haven’t done any Word document deletion, then you can try Part 1 or Part 3 to recover word document on Mac. However, if you have deleted or lost the Word documents on Mac, then you should try the following ways to recover Word document on Mac. If you have deleted the Word document, you should know that it is first put into Trash Can. And the validated period for it to stay is 30 days. You can open the trash can, find and select it, and click "Restore" to save it to the original place. You can also try the spotlight on the very top right if you have remembered its name, search there, find it and drag it to the desktop. If you empty the Mac recycle bin or completely delete, formatted drive or other reasons due to a lost word document on Mac, you can try using Word recovery Mac tool. Recover deleted/lost Word Document on Mac with recovery tool. It is the most efficient way to recover Word document on Mac for lost or delete files are invisible, you can’t do anything to them without a tool. 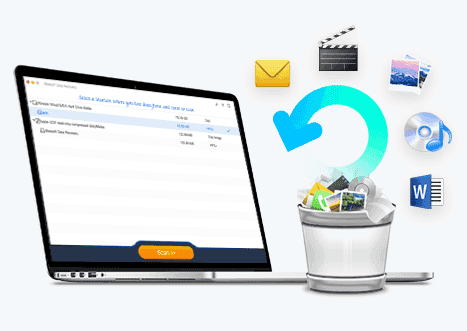 iBeesoft Data Recovery for Mac is such a tool that allows you to scan and recover deleted or lost word, excel, powerpoint, photo, video and more on Mac or removable drives. It is a Mac document recovery software. Here are the simple steps for how to recover Word document on Mac. Recover Word document on Mac due to accidentally deleted, empty trash, formatted hard disk, virus attack, reinstallation or Mac OS X upgrade etc. Ability to preview missing files to ensure Mac Word document recovery quality. Support recover Word document from almost all storage devices, such as hard drives, memory cards, digital cameras, players, USB drives and more. 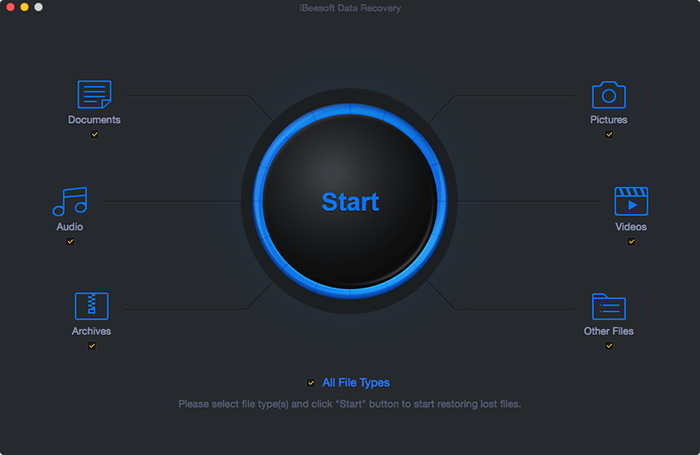 Download the latest version of iBeesoft Data Recovery for Mac by clicking the download button below. Install it as the way you install other software on your Mac. Run the best Mac Data Recovery on your Mac. From the main window, you can see all the supported files are selected, the recover word document Mac tool is ready to scan for them. You need to uncheck them, only keep the "Documents" option selected and click "Start" to recover Word document on Mac. All disk, as well as external hard drives connected to your Mac are listed there. Please select the one where you have deleted or lost the Word document and click "Scan". A progress bar will tell you how it goes on with the scanning process. It only take a few minutes for the recover word document Mac tool to scan for the deleted or lost Word document. After then, you can see the found Word document in the result window. 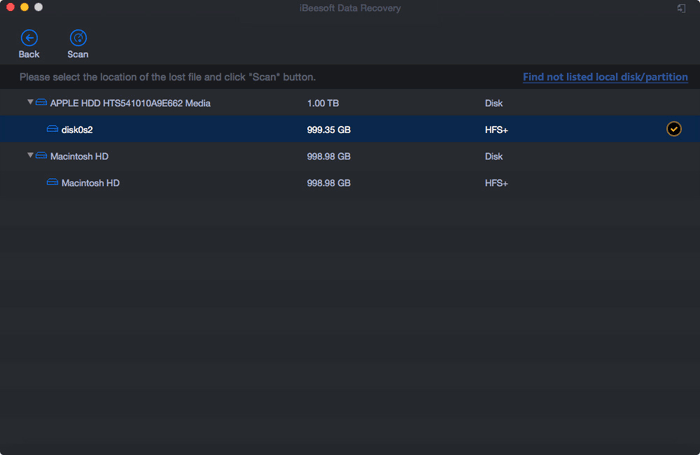 Find the one you need and click "Recover" to recover Word document Mac. To be honest, the theory for how to recover the previous version of Word document on Mac is similar to the autoSave/autoRecover in Microsoft Word. In fact, whenever you edit , duplicate, delete or make a change of a Word document, Microsoft Word will automatically save the previous version there for you, in case you need the previous version. 1.Open the current Word document, click "File" menu > "Revert To" > "Browse All Version". 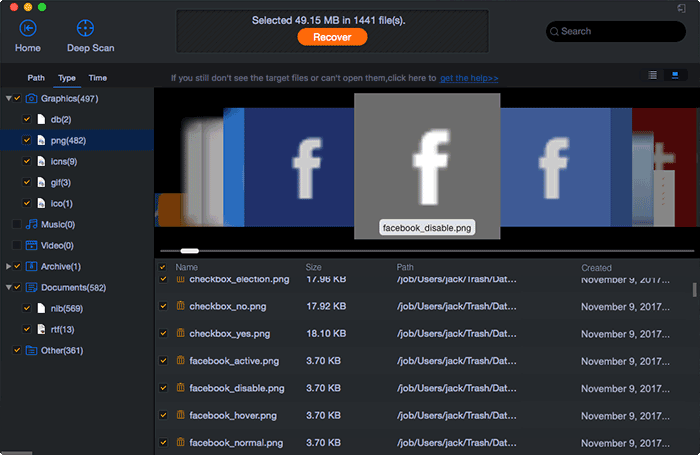 2.Find the latest version you have saved and click "Restore". Note: Compared with the precious version, if you haven’t done much changes for the current Word document, you can backward to it by pressing the Command & Z buttons at the same time. It help you undo the changes.